When your cells are nutrient-deficient, you are at much greater risk of a weakened immune system and disease. The diet that weakens our cells and health is filled with processed, refined and unhealthy foods — called the Standard American Diet (or SAD). The Hallelujah Diet replaces SAD foods with plant-based foods that nourish our bodies so we can reclaim our natural self-healing power. 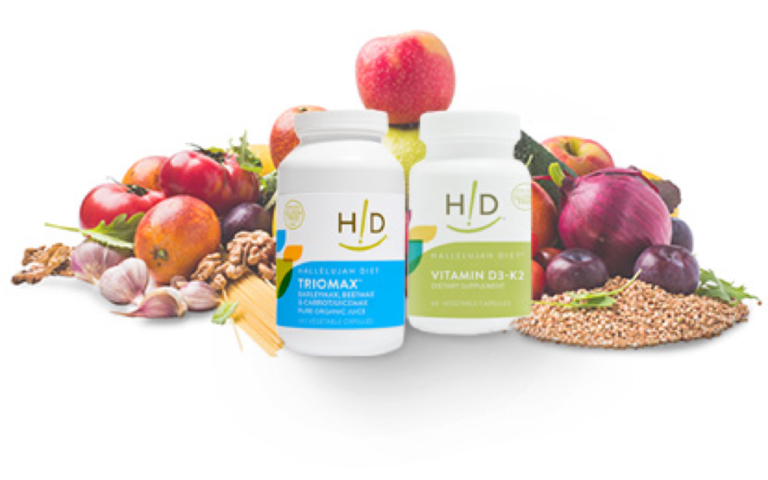 With over 20 years of experience helping people improve their health, the Hallelujah Diet has everything you need to thrive in healthy eating. We provide resources from books on living healthier to simple meal plans. As you start to consume better foods and nutrient-rich supplements, you will be amazed by the positive changes that will take place within your body. Want to dive deeper into the diet? See our video series: The Hallelujah Diet in 7 Minutes. If you’re serious about changing your health for good but don’t know where to begin, we recommend our Starter Kits. These kits offer simple solutions to get back to a biblically-based diet. Whether you’re looking for a cleanse or to rebuild your health, each kit will give you the necessary resources for living a healthy life.